During the mid to late sixtee's the Busselton Airport was used for drag racing, the meetings were controlled by the South West Drag Club, these meetings would attract many of the top competitors from Perth. 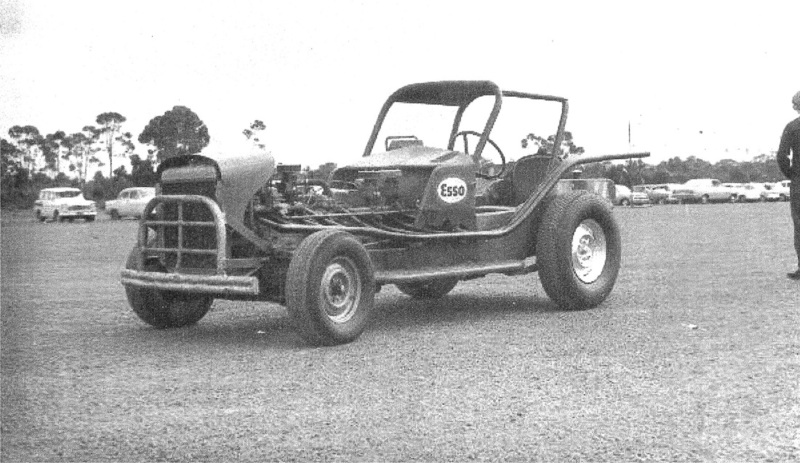 Built prior to Ravenswood Raceway opening, this locally built FJ Holden ute fully customised with S Series headlights and a Falcon roof was the first real power house dragster in WA with its Chrysler engine. The customised 48 series Holden was quite radical in its day, Les would drag race the car as well as use it as his daily driver, Les would eventually roll the car over in a road accident and write it off. 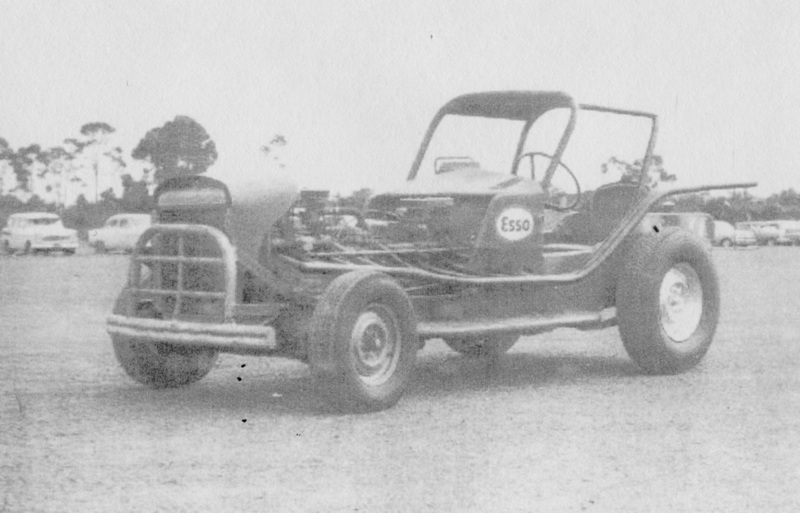 Bill Lydiate recalls: Geoff Prosser's twin engine car would eventually be outlawed as it could not be road registered, Country Drag racing was moving more towards organised meetings on public roads. 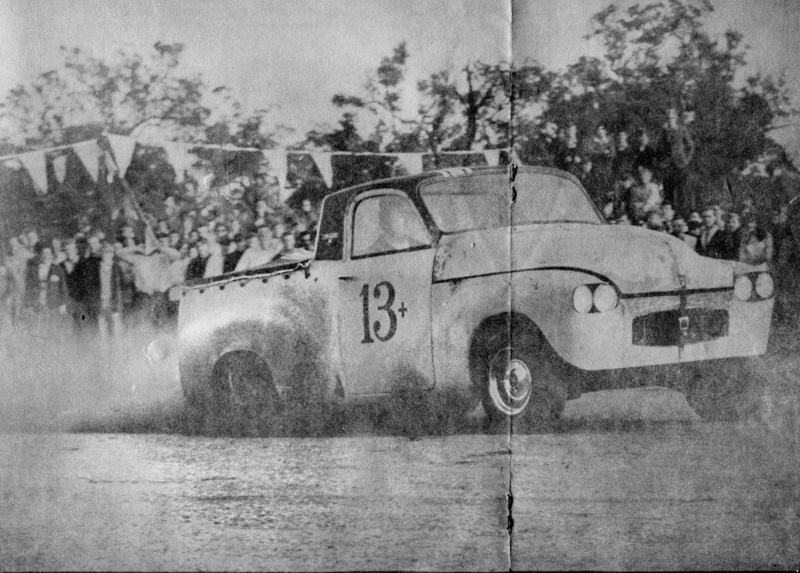 So with that Geoff fitted a set of duel wheels to the rear of his car and enlisted the the driving services of Bunbury Hot Rod driver John Hudson to race the car at Blicks Raceway, A large speedway oval. 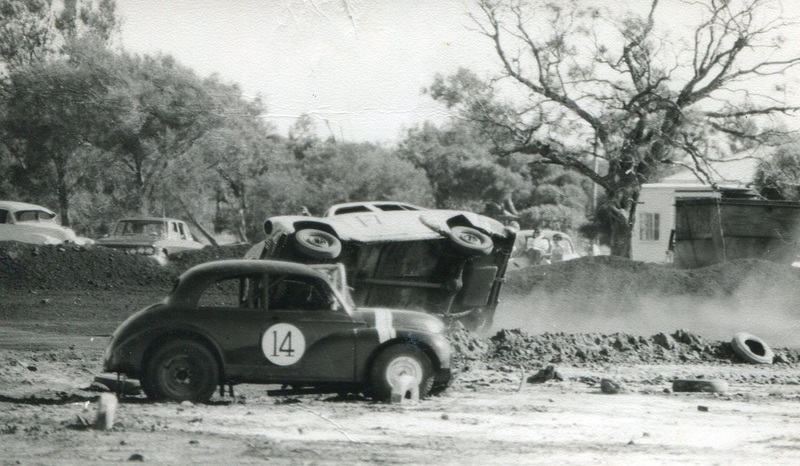 Brian McRay recalls: I raced my Morris Minor at the Busselton Drags on day but found the larger 4 cylinder engine that was fitted and set back into the cab still had to much weight over the front axel so the car would just smoke the tyres all the way down the strip. I later raced the car at Blicks Raceway before on selling it. The Busselton Airport no longer exsists at this location.